Yesterday, UPS released its 2014 CSR report. I caught up to UPS CSO Rhonda Clark to talk about her first year at the helm of CSR efforts at UPS, the milestones the company has achieved and what fuel solutions the company is investing in for the future. Clark is a 25-year veteran of the package delivery giant. She joined UPS in 1989 as a plant engineering supervisor, one of few women in that department. Through the years, Clark rose through the ranks in plant engineering (with assignments in industrial engineering and operations) until she was named VP of Environmental Affairs and Chief Sustainability Officer in 2014. 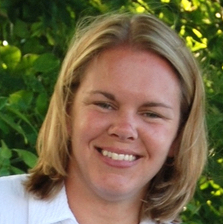 She is also a board member of Girls Inc. and served as the chair of UPS's Women's Leadership Development program. UPS set an ambitious goal to drive 1 billion miles using alternative fuel and advanced technology vehicles by 2017. UPS began their billion-mile journey in 2000. It took the company almost 13 years to drive the first 350 million miles, but in 2014 alone, it logged 154 million miles, pushing it past the halfway mark. That enabled the company to avoid 24 million gallons (5.4 percent) of their total conventional gasoline and diesel use. By the end of 2017, the company aims to drive 350 million miles a year in their alternative fleet, although Clark feels confident that it could be sooner, perhaps even by 2016. The biggest investment to date has been in natural gas, but the company is taking a hard look at several other forms of alternative fuel to see which solution performs best in certain situations and even in varied locations around the world. "As the world is changing and growing, different parts of the world have specific expectations as to how we address issues of congestion and climate change and air quality, so the requirements may vary based on where we are doing business. So we invest in these different technologies so that no matter where we are, we have a solution that will work," Clark says. More than 5,000 alternative UPS vehicles are on the road today, the bulk of which are natural gas. UPS has grown that fleet significantly since 2012. The company started out with liquified natural gas for long-range fleet vehicles and migrated to compressed natural gas, and most recently this past year, into propane. 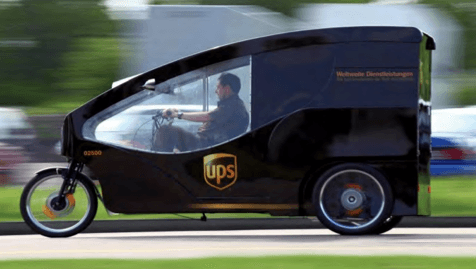 UPS continues to try out new fleet solutions, using electric vehicles for short-range delivery routes, like in a city center, especially internationally where fuel prices are often higher and many customers expect reduced emissions and more efficient vehicles. One big driver of sustainability at UPS, Clark says, is customer expectations. Globally, the company fields inquiries about fuel efficiency from savvy consumers, and since the company is a part of many other business supply chains, the pressure for efficiency comes from all directions. "As we get better, they get better," Clark says, "so they are asking good questions about what we do and how we do it so that they can learn from us. UPS is definitely one of the leaders in transportation logistics because we do a great job of measurement and data collection, and our data, in regards to our emissions, is third-party validated and certified, so our customers can feel confident that what we report and what we say we do, we actually do." This helps customers when they measure their own supply chain data and look for ways to reduce their footprint. UPS can pinpoint the emissions a single client generates by examining their shipment details and offering ideas for ways they can reduce their impact. What are some of the day-to-day challenges Clark faces now that she is CSO? The constant evolution and changeability of sustainability itself. "The biggest challenge is figuring out how we [keep up with sustainability], how we continue to evolve the program, and how we continue to get better. We keep looking for solutions to problems that don't yet have solutions, but are problems that we know as owners of a large fleet that we will have to address." One of the greatest challenges is finding solutions for UPS airlines (a role Clark held before CSO). The company has not yet been able to significantly mitigate the use of jet fuel in the network (not for lack of trying, Clark says). It is certainly a challenge they are working on diligently. Although UPS has logged many accomplishments, Clark can't pick just one as outshining all the rest. "Every solution for me is exciting, from the greatest to the smallest. They are all significant because of the people that are impacted by them." Looking toward the future, Clark is excited about their increasing use of renewable diesel fuel. In 2013, she estimated that the company used 2.6 million gallons, but in 2014, that number increased to 46 million gallons. "We have had great success with it," Clark says. "In fact, we would love to buy as much of it as we can get our hands on, because it is a great solution as we continue to look for ways to shrink our footprint." Clark is also excited about the company's smaller scale success with renewable natural gas (made from methane) and is looking to implement that on a bigger scale in the future. "Because of the investments that we have made over the last few years in natural gas for the fleet, now we have the availability to put renewable natural gas into the fleet. It's another avenue for us to refine and get better." Evidently UPS really is going to buy as much renewable diesel as it can. Soon after it released the report, UPS announced new renewable diesel deals that will make it one of the largest users of renewable fuel in the world. As if that weren't enough, UPS also pledged to reduce greenhouse gas emissions 20 percent by 2020 and joined 12 other companies at the White House to support the American Business Act on Climate Pledge.